Whether you are starting, expanding or operating a business, there are always questions. The City of St. John's Business Information Centre can help point you in the right direction. Knowledgeable staff can guide you to the resources you need to prepare a business plan, conduct market research, or find sources of financing for your business. The centre also provides statistics, economic information and information related to the local oil and gas sector. 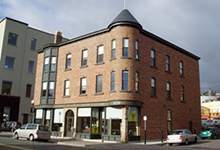 Conveniently located at 348 Water Street in the heart of the downtown, the Business Information Centre provides walk-in service Monday to Friday, 9 a.m. to 4:30 p.m. You can also contact the centre by telephone at 709-576-8107 or email business@stjohns.ca.